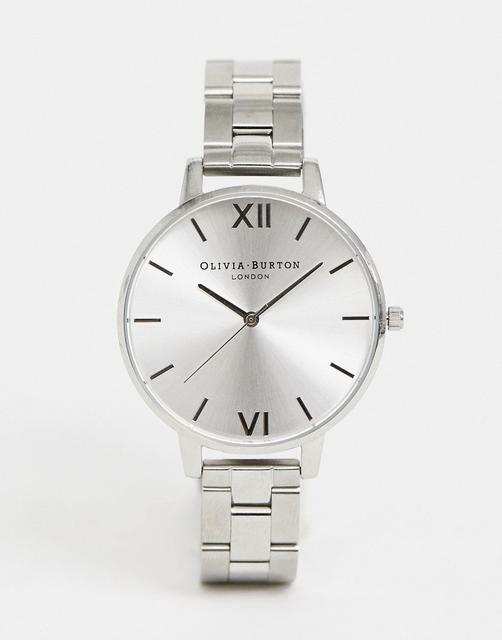 Watch by Olivia Burton, Stainless-steel strap and case, Three-hand movement, Roman numeral indices, Single crown to side, Deployment clasp, 1ATM: water resistant to 10 metres (33 feet), Presented in a branded box. The design duo behind Olivia Burton met on their first day at London College of Fashion, and turned their love of vintage fashion and catwalk trends into a luxurious line of watches. Bursting full of Brit style, look for woodland illustrations and floral botanicals across their leather strap timepieces.